Most of the time, Apple Final Cut Pro X works reliably. But, every so often, things go weird. Here’s a list of things to try before you call Apple Support. These are listed in order. Try each of these steps, then see if FCP X starts working properly. If it is, then stop there. If not, keep going. If nothing works, then please contact Apple Support. NOTE: If you are looking for general trouble-shooting procedures, read this. If you are looking for Final Cut Pro 7 trouble-shooting tips, read this. Quit Final Cut, then restart your computer. It is amazing what gets fixed simply by restarting. Quit FCP X. Then, press and hold the Option + Command keys while clicking the Final Cut icon in the Dock. This message then appears. Click the blue Delete Preferences button to restore Final Cut’s preferences to the factory default. Trashing FCP X preferences does NOT delete any of your libraries, media, edits or projects. It DOES empty the Recent Libraries list in the File menu, resets all FCP X preferences to defaults and resets the internal settings of FCP X to their Apple defaults. For this reason, make sure you know where your libraries are stored before deleting preferences so you can find them manually after this reset. A Safe Boot cleans up problems with how files are stored on your hard disk. A Safe Boot is also the best way to delete plug-ins that are malfunctioning, files that refuse to be deleted, or files that remain open after an application quits. While pressing the Shift key, restart your computer. Continue holding the Shift key until the computer restarts AND you see the small, white thermometer start to scroll across the bottom of your screen. BIG NOTE: YOU CAN NOT RUN FCP X in Safe Mode. This procedure is for maintenance and repair, not operating your computer. 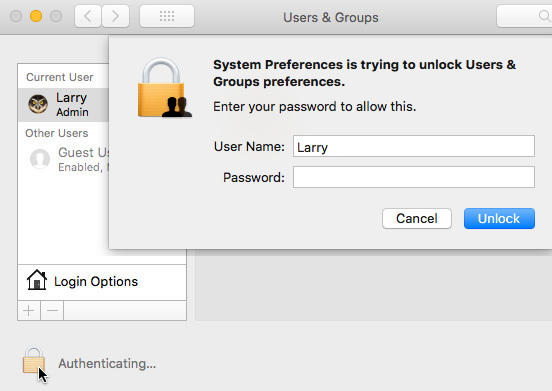 Your computer will prompt you for your user name and password, even if you have auto-logon turned on. You know you’re in Safe Mode because, when the log-in screen appears, the words “Safe Boot” appear in red in the upper right corner of your screen. It makes sure all file directories on your hard disk are cleaned and optimized. It turns off all 3rd-party operating system extensions and plug-ins. It turns off all FCP X extensions and plug-ins. It essentially disables the GPU. It turns off all non-vital operating system elements. NOTE: Safe Boot is an excellent maintenance procedure for your entire computer, not just Final Cut. It was designed by Apple and I recommend you run this once a week. in the past, once I’m logged into Safe Mode, I used to run First Aid, but now, there’s a better way to repair your boot drive. To restore your computer to normal operation, simply restart it without pressing any keys. In recent versions of the macOS, Apple added a hidden repair facility which you access via a secret keyboard shortcut. NOTE: I can’t show screen shots of this, because Screenshot doesn’t work in the repair environment. But I’ve used this often, especially when working with beta software. When you hear the chime, press Cmd + R and hold them until the thermometer appears at the bottom of the screen. Because we are running on a special version of the macOS, which is installed in a different location than your boot drive, the Macintosh HD acts just like any other hard disk, which makes it MUCH easier to repair. When Disk Utility opens, select the boot disk on the left (Macintosh HD, in my case), then click First Aid. First Aid runs a number of repair and maintenance procedures on your hard disk, making sure everything is OK, and fixing things that aren’t. Everything this does is “under-the-hood” stuff, but it keeps your hard disk directories and applications clean and out of problems. This is designed for the boot disk. I almost never run this on data drives. A message then appears asking if this is what you really want to do. Click Run. First Aid will take a couple of minutes, then this dialog appears. Click Done. NOTE: I used to run First Aid in Safe Mode, but this is much better because the entire operation system installed on Macintosh HD is bypassed, allowing more complete repairs. If these procedures don’t fix the problem, then its time to reinstall the application. First, though, delete the current version from Final Cut by dragging it from the Application folder to the trash. NOTE: Deleting the application does NOT delete any of your libraries, media, projects or personal files. 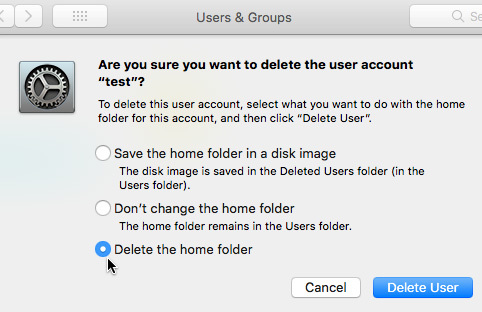 Also, deleting the application does NOT delete any preference files or purchased plug-ins. After deleting the app, log into the Mac App Store, click the Purchased tab, then click Install to the right of Final Cut Pro X. After installation, open your application and project and see if things are working better. If so, great. If not, go to the next section. 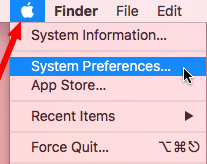 Finally, just as Final Cut’s preference files configure the application, the Mac operating system also uses preferences – LOTS of them. 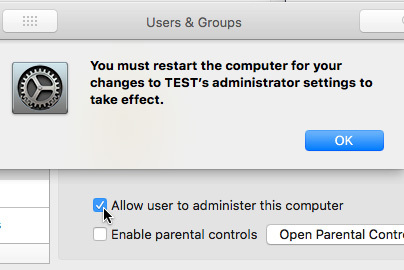 Sometimes, trashing preferences for an application isn’t enough, you may need to reset the entire OS. 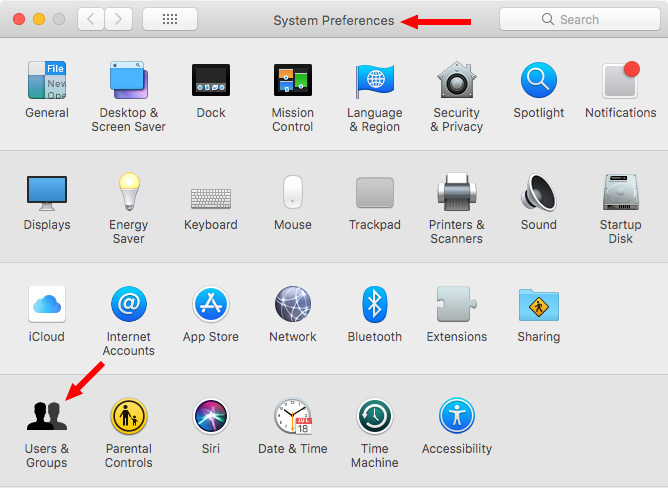 Open System Preferences; it’s under the Apple logo in the top left corner of your screen. Open Users & Groups, in the fourth row, by double-clicking the icon. Click the Authenticating padlock icon to unlock these settings. 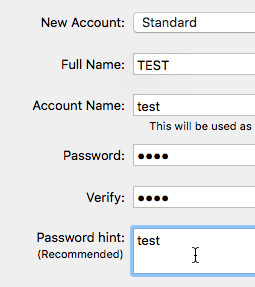 Enter your computer user name and password. Click the Plus icon to create a new user account. This new account is going to last a VERY short time, give it a simple user name and password. My favorite is “test”. 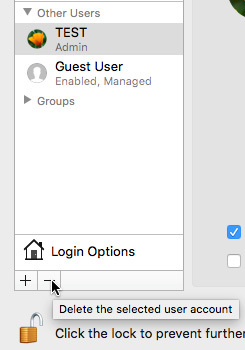 Turn off Automatic Login so you can select which user to login to your computer. Then, and this is really important, CHECK Allow user to administer this computer. When you do, your system will need to restart. Restart your computer and log into the new user account you just created. Open Final Cut and a recent Library to see if things are working better. If so, great. This means that you can edit logged in as the new user until you can get your computer serviced by Apple. If things are still not working, go on to the next section. By the way, once you’ve tested your system, and assuming you don’t need to use this new user as a temporary editing login, you can delete the user you just created. Click the Minus icon. And, when the system asks what to do with the Home Directory, just trash it. There’s no need to save a test system. After you’ve done these basic steps, if you are still having problems, it is time to contact Apple Support for more sophisticated help. To save you time at the start of your support call, be sure to tell them what you’ve done. Having system problems is a HUGE frustration. I hope these steps will get you back and running in no time. As alway Larry – THANK YOU THANK YOU THANK YOU, for putting ‘pen to paper’ and sharing this stuff. For free. Again. Great info and resource to have when World’s Collide inside my Mac. Glad you like it. Happy to help. Thanks, Larry, for this and all the other great info you’ve provided. We’re all really really grateful! And may I say, I loved the remark you did at the end of one podcast where you went into how the tone and spirit of words means as much as the words themselves. Smile… Thanks for the kind words! A good way to do is to create a clone of your system at the end of each week. That the best way to be on work rapidly. Thank you for your good tips. 1 cool “fix they did” you can share. This is for an overall “sluggish running Mac”. Thanks for sharing this link. My experience, though, is that the SMC is rarely the cause of problems. I would caution to use this technique later, rather than earlier, in the trouble-shooting process. Thank you Larry! Always excellent. One thing is that I wasn’t aware that we could “call Apple Support” . . . No matter what I do to report my iMac crashes, etc., they seem to ignore me, it seems. Guess they’re just too overwhelmed to respond to any individual? Don’t forget that Apple has an 800 number you can call for support in the US, plus Genius locations at all Apple Stores. My boot up drive is an OWC SSD running from an external Thunderbolt-1 dock. Do you know if it’s safe to use Apple’s Disk Repair utility on an external SSD like this? I thought OWC’s SSDs had their own internal maintenance routines. I would expect that it would. HOWEVER, to be safe, please verify with OWC Support before using an Apple Utility. It never hurts to ask first, before you have problems, just so you know.